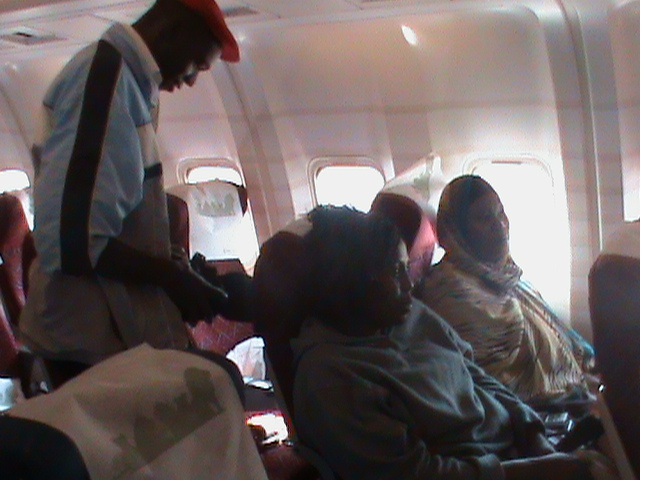 In September 2010, at the age of 25, JohnTe went on a plane for the very first time in his life, on board he was from Kenya to Ghana about which he was excited. JohnTe lives in a ten-by-ten foot shack made of corrugated sheets of iron and with an earth floor. Its once-painted wooden door has cracks running down to where the wooden planks meet. The door opens inwards to a dark and muddy two-foot wide passage. If the door opened outwards it would knock into the row of similar shacks on the other side of the passage or would scrape the drooping roof overhang above the passage. At the airport, Te’s passport would have borne the name John Thuo. Initially, “Te” was a street name, but then became the only name by which John is known in the Nairobi slum where he lives. Te went to Ghana to train in database management. 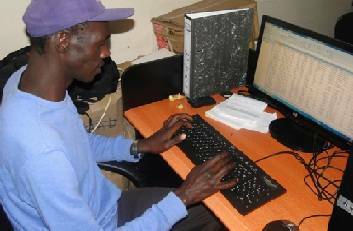 After frequent arrests in his mid-teens, Te has become the “data guy” of Muungano wa Wanavijiji, the Kenyan federation of slum dwellers. The federation is part of the global network of slum dweller movements known as Slum/Shack Dwellers International (SDI). One thing the federations do consistently is collect information on the slums where they have a presence – a ritual they call enumerations. They count shacks and document the presence of people who otherwise remain invisible in formal records. This information is used to negotiate with local authorities for security of land tenure and services. Among the communities interested in this was Kambi Moto, the small slum from which Te comes. At the time, he was too young and wayward to be part of the exercise. As a result of the enumeration, Kambi Moto community negotiated for, and was granted, tenure rights by the city council of Nairobi. Today, the settlement is transforming – residents have replaced 86 of its 270 shacks with 35-square metre stone houses with electricity and plumbing. While the Kambi Moto housing makeover is striking, it is the change in the youth outlook in Kambi Moto that is truly fascinating. Te testifies that a few years ago he was such a pincher of people’s things that even his mum would have to hide on herself any money she had whenever he was in the house. Today, he works at a car wash that the community set up; he’s saving to get a house construction loan from the federation; he builds databases for enumerations taking place in slums across the country; he maintains the federation’s website; and he mentors a group of 5-to-14-year old kids in Kambi Moto. And there are a dozen other young people like him in the settlement, for example Eric, who has acquired masonry skills and is engaged in building houses in the community; he also manages a theatre and dance troupe for kids on Saturdays and during the school holidays. And there is Wambua aka Prince Kalonji, John,Nyadida a mentor and entrepreneur, Joyce, Njeri and Stanely Thuo who currently is the manager of a youth rugby team. 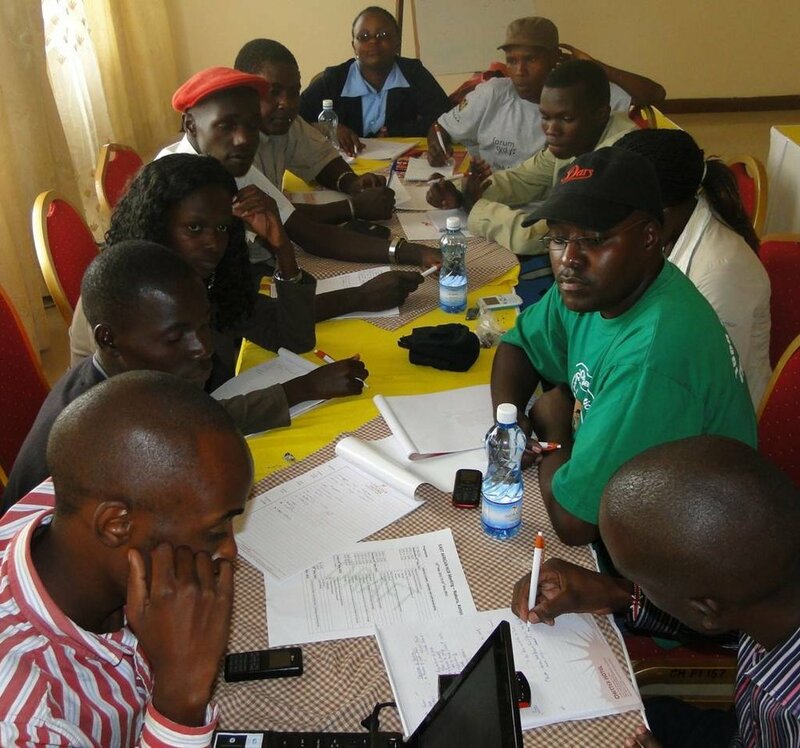 The idea for a youth federation was inspired by the enumeration of a small settlement of 67 households. In the month between data collection and community verification of the data, three young men had died: one had committed suicide; one had died of HIV/AIDS-related diseases; and one had been stabbed by other slum youth on his way home after a drinking binge. MuST Programme Manger, Kimani Joseph, started talking to the young people, and quickly realized that there was a gap in slum communities that Muungano was not particularly interested in filling. Kimani began to organize football tournaments between youth from different slums; he brought in any willing professional he could find to speak to them, about anything; and he organized music and theatre competitions. He got himself onto widely recognized national youth bodies such as the Youth Parliament and the Youth Council. At the slum level, the youth organized themselves into junior councils that discussed various issues, for example how they could gain access to football pitches in neighbouring schools. When the annual Youth Council elections came around that year, for the first time slum youth showed up in great numbers and elected their own for all the posts, including junior mayor. A 17-year-old girl from Mathare slum ended up with an office next to the city mayor’s; never mind that with no agenda and with very little support from anyone, she quickly became bored with the position and abandoned the office. And so the youth fire raged on, almost haphazardly it seemed. From its beginnings in a couple of slums, the movement spread to slums in four of the city’s eight divisions, and the youth called it Muungano Youth Federation. Great as the energy was and still is, it was also felt that this movement needed to be consolidated into some coherent, fundable entity. Kimani himself had been born in a slum and had been encouraged to stay at school; he subsequently broke out of the slum with the support of the mentoring he received in a church youth group. He bequeathed the mentoring legacy to the Youth Federation. His philosophy is that when you mentor, it compels you to become a role model for those you mentor. Whatever else they contrived to do, all the under the umbrella youth were each mentoring three or four children, aged between four and 12. Mothers in the slum became the movement’s biggest supporters. Mentoring was the first and strongest element of the movement’s journey to institutionalization. That same year they set up a fund called “Kuboostiana”, a Kenyan slang term for giving each other a boost. The fund promoted groups to start making footballs and handicrafts. With the support of the Ford Foundation, the youths were encouraged to take numerous slum waste collection groups a step further into waste recycling, in a programme they dubbed “Taka ni Pato”, meaning “waste is cash”. (3) Learning visits to Egypt, India and South Africa were made. A couple of months into the programme, groups were producing more than two tonnes of organic compost every week. A network of 15 waste collection groups in two divisions of the city coalesced and bought a plastic shredder and went into business selling plastic pellets to plastic goods manufacturers. The prospect of renewing the youth federation every year is a daunting task. You find a small shy girl, you walk with her for a year and she grows into an articulate young woman with good skills. Her dancing troupe excels and she mentors some children; and then one day you wake up and she’s gone. You wake up the next day and find a small naughty boy. Perhaps you start to think “I have enough on my hands already!” The frustration may have started to grow, but each year there are new youth coming in, charged up and so compelling in their aspirations that you have little choice but to do it again.